New business models in the retail sector bring new challenges. Our paper looks at how to reduce the risks. Retailers today are seeking new ways of working, aligning their business models to the modern world. 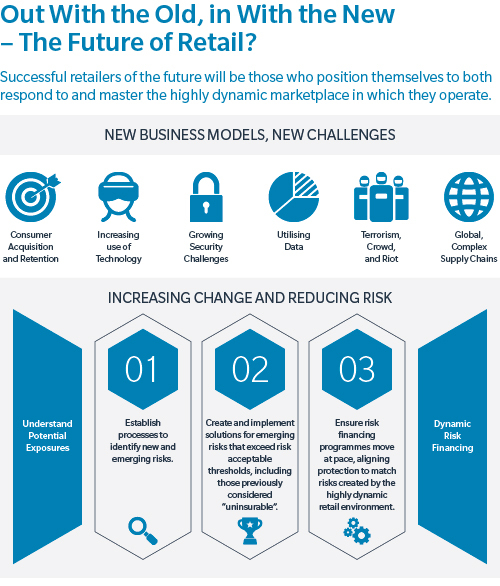 The retail environment of the future will bring with it a set of modern challenges and presents yet more to consider from a risk perspective. Successful retailers of the future will be those who position themselves to both respond to and master the highly dynamic marketplace in which they operate.